Why then is Arena of Valor struggling in the US? It’s impossible to argue that Tencent’s Honor of Kings isn’t the biggest mobile game in the world right now. In 2017, the mobile MOBA generated $1.9bn in revenue and boasted 200m active players in China alone. It became the focus of a new esports initiative called the King Pro League (KPL). 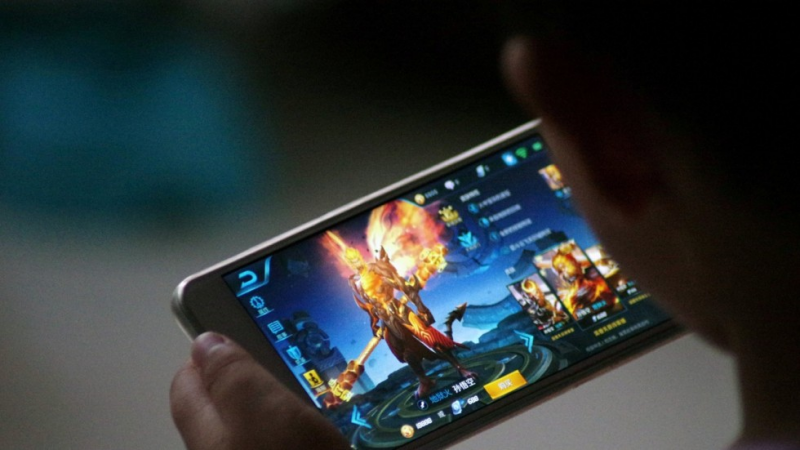 Younger players even had their play time restricted by Tencent in July last year after government concerns about its impact on younger Chinese players. Yet in the west, its sister title Arena of Valor is disappointingly plodding along. According to Sensor Tower, the game has taken six months to cross the one million install mark on both Google Play and the App Store in the country. Furthermore, it’s only generated $3m to date – less than Honor of Kings does in a single day domestically. Why then is Arena of Valor struggling in the US? Partially, it’s a victim to market trends. But mostly, it’s a game that has gotten lost in translation. 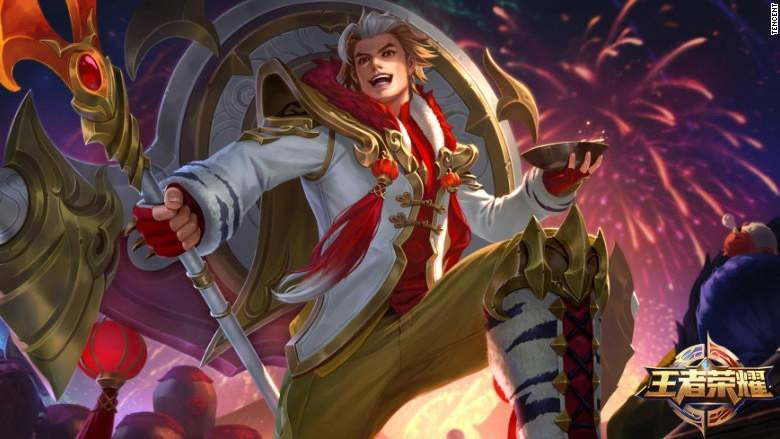 By being stripped of China’s unique cultural and market context, Arena of Valor lost a lot of what made Honor of Kings work – suffering in the process. 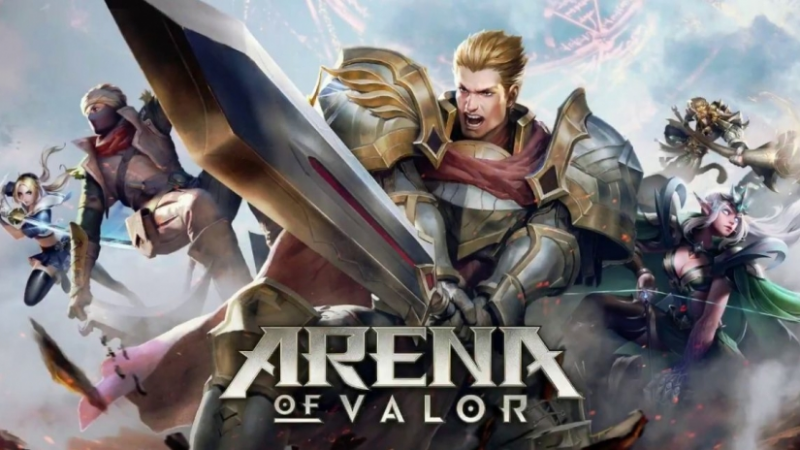 As Sensor Tower points out in its report, Arena of Valor dropped on mobile devices right in December 2017. This put it square in the middle of the battle royale wars between PUBG and Fortnite that caught the entire industry flat-footed. Its arrival in mid-December was specifically awkward because of where both battle royale games were in their respective development cycles. Although PUBG had been in early access since March 2017, its 1.0 version landed on PC and Xbox just in time for the festive period. 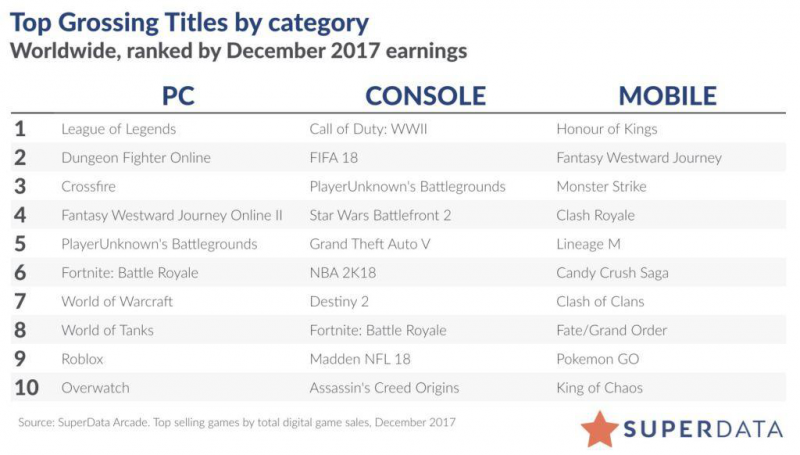 This provided a clear impetus for purchasing, helping PUBG hitting the top five in Superdata’s PC and console earning chart in December. But while both games would have had an impact on both the amount of time and money players would have had to spend in Arena of Valor, it doesn’t satisfactorily explain why it generated as little momentum as it did. First, neither game was directly competing with it on mobile in the west at that time. Although PUBG and Fortnite both launched mobile versions in the first three months of 2018, Arena of Valor initially had a clear run on its platform of choice. Second, Battle Royale’s success did not squeeze out every title at the time. Although we now associate Fortnite with its $318m revenue month in May 2018, both it and PUBG were still beaten in December earnings by other titles. Arena of Valor’s comparative lack of success in the US market is not entirely down to an unfortunate release date. Instead, we can only understand its problems by looking at where Honor of Kings succeeded in China instead. While MOBAs are popular in the US, in China they’re a gaming phenomenon. Honor of King’s enormous player base is complemented by Riot’s League of Legends, which last reported an active player base of over 111m players. Second, Honor of Kings benefits because it is tapped much more closely into China’s mobile infrastructure. Although Arena of Valor does use Facebook to connect players, Honor of King’s connection with Tencent’s QQ and WeChat goes much deeper than idle sharing. 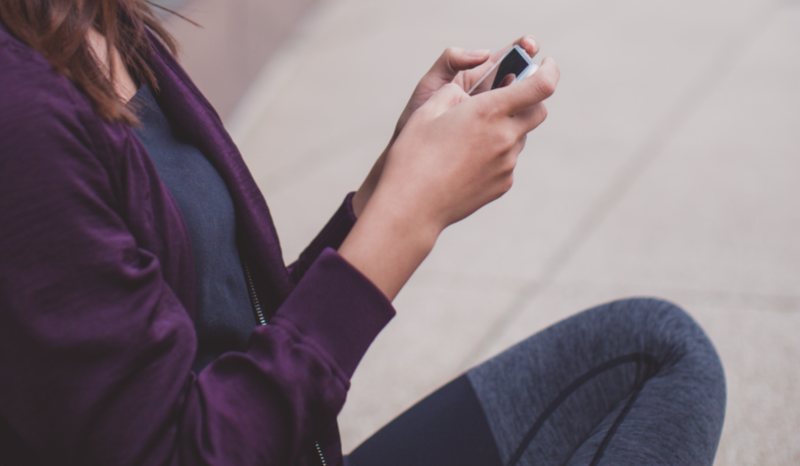 Instead, Tencent’s exceedingly popular chat apps – each boasting hundreds of millions of users – fully power the social aspect of the game by allowing players to see who is online, invite players to games and discuss strategies. Both services act, in essence, like a platform to drive engagement and to help push up its player bases. And with new services like Huya – a Chinese Twitch competitor which is also backed by Tencent – already giving front page features to the KPL, that social element is only likely to grow further. Third and finally, Honor of Kings has a much stronger appeal to Chinese culture because its cast of heroes is entirely immersed in it. Unlike other MOBAs, the vast majority of Honor of Kings roster of heroes is drawn from Chinese history or mythology. For example, the hero Zhang Fei is based upon a military general who took part in the Battle of Hankong in 216. An in-game assassin called Li Bai is based upon a famous Chinese poet. There’s even a hero who provides a nod to the philosopher Confucius. But for Arena of Valor players in the West, there is no such shared cultural literacy. Although Tencent has tried to inject it into the game by basing characters off Norse, Greek and Roman mythology, that doesn’t offer an equivalent standard. In short, Arena of Valor has suffered in the West because it has not tapped into the prevailing culture as successfully as Honor of Kings did. Even though it is fundamentally the same game, the comparative lack of popularity for MOBAs, China’s unique social media infrastructure and the failure to plug into shared cultural values have slowed it down. Yet at the same time, we certainly shouldn’t count it out. While it certainly has challenges ahead and will face a significant uphill battle to succeed, there are signs that Arena of Valor could succeed. First, the rise and rise of esports will only help the reputation of MOBAs in the west. With League of Legends and DOTA2 growing both their main competitions and tournament offshoots, the groundwork is increasingly being laid for a mainstream mobile MOBA. Second, Tencent ‘s decision to add superheroes like Wonder Woman and Batman to the Arena of Valor roster could help create a shared culture outside of China. Although it does create a slightly dissonant effect for now, the presence of globally popular characters could help players buy into the game. And finally, it’s important to remember that Arena of Valor’s success is in tandem with Honor of Kings – not outside of it. It hasn’t really taken off in the US yet, of course. But with Honor of Kings printing money in China, it has time. Ultimately though, what Arena of Valor shows us once again that there is a noticeable gap between the Chinese and American video game markets. And even the biggest companies in the world can find it hard to overcome that.